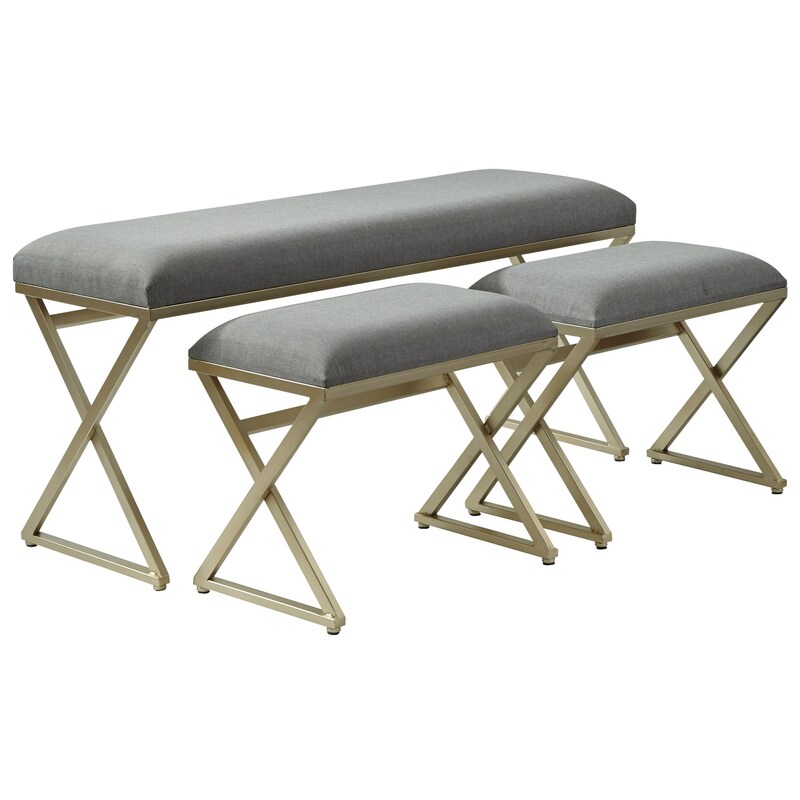 Upholstered in a gray polyester fabric with a foam padded seat cushion, this set of three benches will add style and comfort to any room in your home. Its nesting ability allows it to provide more seating options, without taking up too much space, and the metal frame in a champagne finish completes the look of this contemporary piece flawlessly. The Emanita Nesting Accent Bench Set of 3 by Signature Design by Ashley at Household Furniture in the El Paso & Horizon City, TX area. Product availability may vary. Contact us for the most current availability on this product.